Daniel Larison is far less ambivalent about our war on ISIL than me. Since the administration claims to believe that the 2001 AUMF already applies to the war against ISIS, it’s a little bit strange that they have included any restrictions in the draft of the new resolution. Limiting the use of ground forces makes it easier for members to vote for the authorization, but then the administration would have been happy enough if Congress never voted for a new resolution. The resolution would have to be renewed after three years, but that is likely to be a mere formality when the time comes. Fighting such an open-ended, ill-conceived war all but guarantees that it will continue beyond any time limit set for it in the AUMF. It is hard to miss the absurdity of this entire process. The war has been going on for half a year, so it’s not as if the administration thinks it needs Congressional approval. In the event that that the administration chooses to ignore the restrictions included in its proposed AUMF, there is very little chance that it will be forced to answer for that by Congress. That is especially true when many members of the majority in both houses object to the language of the proposed resolution because it is too limiting rather than too broad. While it may appear at first glance that passing a new AUMF will impose some limitations on the conduct of the war, what it really does is to endorse an open-ended and extraordinarily ill-conceived war that may not be limited to Iraq and Syria and could expand to include any number of other groups. As it so often does in these matters, the Obama administration feigns restraint, but in practice overreaches even more egregiously than its predecessor. The administration has shown that it is perfectly willing to wage a war in the absence of any authorization, and it has already been waging another one by grossly distorting and misinterpreting an earlier authorization. Even if the restrictions in the new AUMF meant anything, we could expect the administration to ignore them in the confidence that Congress would do nothing about it. Congress should refuse to sign off on the administration’s expansive war resolution. It won’t stop or limit the war in practice, but it will put an end to a farcical process and it won’t give the president the rubber stamp approval he wants. The administration wants to make permanent its preposterous justification for treating ISIS as Al Qaeda’s “successor” for the purpose of applying the 2001 AUMF to the group (despite the open and public rivalry between them). 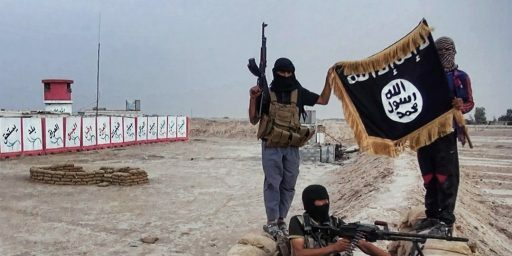 It wants to make sure that it and future administrations will be able to target whatever splinter group is later deemed to be ISIS’ “successor.” In this way, the new AUMF could provide cover for waging war not only against any random jihadist group that chooses to identify itself with ISIS no matter where they might be or what threat they pose to the U.S., but could conceivably permit military action against groups that split from ISIS or turn against them. It could also permit military action against any other groups that are just as tenuously linked to the so-called “successor.” The administration is seeking approval for a “limited” war that it envisions as being virtually unlimited in terms of place, duration, and potential targets. I agree with all of that and mentioned most of those problems in my longish essay for The National Interest that I wrote Wednesday night and that published last night. The reason for my ambivalence, despite a longstanding preference for non-intervention and for limited, narrowly defined, Congressionally-approved wars is that totalitarian Islam in general and ISIL in particular are legitimately threats to US national interests and no better options seem to be on the table. I fully concur that the AUMF is a political farce. Not only is it not nearly as limited as it appears, for reasons Larison and I both lay out in detail, but the president declares in his letter asking for the AUMF that he already has all the authority he needs! Yes, there’s more than a little hypocrisy asking for Congress’ permission given his history of repeatedly thumbing his nose at Congress in both foreign and domestic affairs. Then again, that’s essentially background noise. Presidents have been deploying military force to combat situations on their own initiative at least as far back as Teddy Roosevelt. And, while Obama long ago disclaimed the Global War on Terror label, he’s radically escalated it in practice. Yes, I have some serious misgivings about that, which I’ve written about extensively. At the same time, while Congress hasn’t specifically authorized any of it—it’s absurd to claim that the 2001 AUMF applies to the drone wars in Yemen, for example—Congress is wildly enthusiastic, with only a fringe opposed to blowing up suspected terrorists wherever we can find them. Ditto the American people, 70% of whom see ISIL as the number one threat to American interests in the region but, like me, are ambivalent about our options. While 57% say we should “do whatever is necessary” to fight ISIL, exactly the same number oppose sending ground forces! (This is an artifact of the survey methodology; respondents were given a false choice between “Stay out of the conflict” and “Do whatever is necessary.”) So, the president is following a maddening middle course that 80% of the public (and 100% of me) thinks will be inadequate to defeat ISIL. Is this the way it’s supposed to work? Nope. Is there an end in sight? Nope. Do I have a better idea? Nope. James, it seems to me that there are degrees in significance in our national interests, a spectrum. They run from direct threats to the United States here to direct threats on our allies to threats to our allies’ own grand strategies and all points in between. Where would you place DAESH on that spectrum? It’s unclear to me how far we should be willing to go to protect iffy allies and even less clear that we should be prosecuting their grand strategies for them. @Dave Schuler: I think the group represents a minimal threat to the US homeland and a middling threat to our interests in the Middle East. They’re creating further instability in Turkey, which is especially dangerous, and further damaging the prospects of a peaceful Iraq. It’s therefore in that really uncomfortable genre of threats about which we must do something but not one worth a huge investment in American blood and treasure. Which, apparently, is where President Obama and the American public seem to see the threat as well. I agree with that but would go a bit farther. DAESH is a challenge to the Saud family’s grand strategy which relies on their continuing to be the protectors of the Muslim holy places so that, consequently, an attack on them is an attack on Islam. I’m skeptical that grand strategy is in our own national interest. The question then becomes what our role should be relative to that of our allies in the region? My answer would be that we can’t carry their water for them and should limit our involvement to furthering our direct interests. I’m always somewhat relieved when gentlemen who are so much wiser than I in their particular field seem to have the same questions and uncertainties as I. My questions could be distilled into two (at least for today). First, does anyone in the FPE (Foreign Policy Establishment — I just made that up, thinking of some of the headlines on this topic here) think that DAESH is an actual threat to the Saud family’s hegemony in Mecca & Medina? And relatedly, I guess, does the Saud family think they are such a threat? There was quite a shootout in Mecca several years ago and I bet the Saudis have not forgotten it. And there’s the Saudi General killed on their border with Iraq which was reported on 5 Jan this year. 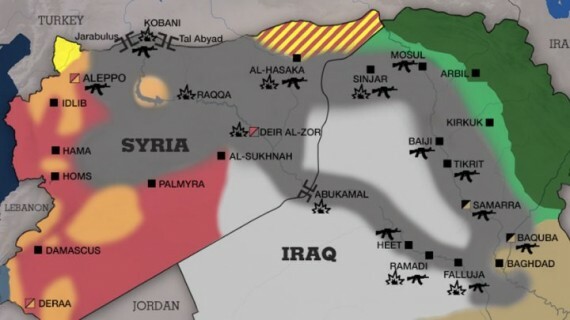 And second, does the support for our allies in the area (Turkey, Iraq, Jordan) mean that we’re committed to the Sykes-Picot borders which DAESH seems to me to have pretty effectively erased? Thanks for the privilege of ‘sitting in the faculty lounge’ – so to speak. Cynically (maybe). During the Bush administrations it appears the interests of the Saudi royal family and of the U. S. may have been somewhat conflated, along with the interests of the oil industry. That is less the case now. Nonetheless, we have a necessary and legitimate interest in regional stability and in maintaining the flow of oil to Europe and Japan. Israel and the Saudis would like to maintain stability with their usual policy of “Onward Christian Soldiers”. Obama has to walk a tightrope between maintaining our interests and getting the locals to pick up their share of the load; all the while not getting us into a Sunni/Shia religious war. I have no problem with him not being open about this in the NSS. So, does the new AUMF authorize the US to march into Saudi-Arabia and Qatar and take out the financiers of ISIS, or are we playing the same “head in the sand” game we’ve been doing for the last 15 years in the name of cheap oil? We need to view this from what is good for us. Not that I have a very clear vision on this. The ISIL/ISIS/DAESH conflict has so many conflicting allegiances that it is hard to get a handle on a clear direction. It is part Sunni establishment/Sunni radical conflict, part Sunni/Shiite conflict, part Iran/Saudi conflict, etc. Where is the US interest in this maelstrom? Personally, I tend to tilt toward Iran and against the duplicitous Saudi/Gulf State autocrats. I think we have more in common and more potential with Iran than otherwise. But I’m willing to hear why I’m wrong. So, the president is following a maddening middle course that 80% of the public (and 100% of me) thinks will be inadequate to defeat ISIL. Maybe one can be wedded to to binary military language choice of victory (“there can be no substiute for victory) and defeat, where victory is defined as planting the flag in the enemy’s capital.There is another option intermediate to victory or defeat and that is containment. In the Cold War we pursued a “containment strategy” for 45 years (1946-91) that eventually resulted in the collapse of the USSR from its own internal contradictions. There were conservatives all through that period that described a containment strategy as inadequate. and called for a “rollback” of Soviet gains in eastern Europe, even at the cost of nuclear war. Thankfully cooler heads prevailed. What Obama is doing with ISIL is a containment strategy. The idea is to contain them within within a certain area, then wait for them to overreach and then fall apart eventually. While that’s not a classic military campaign, that kind of campaign is simply not possible against a stateless actor like ISIL.I think there is a good chance that this containment strategy might work over time. There was even talk that the whole concept of Mutual Assured Destruction (MAD) was fundamentally immoral. I remember thinking that I could live with that “immorality”. @stonetools: I’m starting to think the problem is that we need more nuanced language, and a better legal structure, that recognize the gray areas that aren’t “peace”, but also aren’t “war” in the WWII or 1812 sense. Interesting. Last time we had a war of containment it was called the “Cold War” and involved almost all of our work and attention through eight presidents. You seemed to have really lost it lately. Everything OK? Is it the fact that the economy under the socialist President has reached heights not seen since the last Democratic President? That’s it, isn’t it? Did Eisenhower ever golf? How about Ronald Reagan or GHWB? Did GWB ever go on vacation? After a while these comments about what every white, Republican President did just make the commenter look silly. Try to rise above that. Troll better, please. @stonetools: Right. Of course, during the Cold War, we mostly admitted that we were following a policy of Containment rather than proclaiming boastfully about “destroying” the Soviet Union. …rather than proclaiming boastfully about “destroying” the Soviet Union. He still cracks me up! Was there some rational point in Larison’s two screeds? I must have missed it. Because it sure looks like irrelevant procedural complaints tied to a flailing impatience because, waaaah, it’s taking so long. Are we there yet? You said we’d stop to see the world’s biggest ball of twine and I have to pee. 1) Yes, ISIS is a potential threat to Saudi Arabia, as I’ve been warning from day one. It’s a threat to Mecca and Medina because that’s their only winning move. (Again, said this from day one to much derision.) It doesn’t matter if they take another six square miles of Syrian sand, it matters a hell of a lot if they destabilize the KSA. 2) Why does it matter if a nihilistic death cult run by ex-Saddam employees ends up running the world’s biggest oil pump? Well, aside from the obvious, how are you talking Iran out of getting nukes if these people are right across the Gulf? Spoiler alert: you’re not. If the KSA goes down, Iran goes nuclear, period. And then who stops the Sunni bomb? 3) What is with this nonsense about Mr. Obama expanding the war against Islamic terrorists? Oh, he expanded it, did he? Did he fly AQ into Yemen? If the enemy opens a new front it’s kinda ridiculous to say we’re expanding the war. When in military history have we taken this view? Were we “expanding the war” when we sent help to the Brits in Burma during WW2? After all, the Japanese just attacked Pearl Harbor, shouldn’t we have just focused on defending Pearl rather than “expanding the war” across the Pacific? 4) Once and for all: it takes however long it takes. That’s how long. However long it takes. Have we got somewhere else we have to be? Are we running late for a movie? Either fight the war or don’t, but for God’s sake can we cut this absurd impatient toddler act? Waaah, when are we going to stop fighting crime? I’m bored. When are we going to stop fighting disease? I wanna watch Dora the Explorer. We had a strategy of containment, but there was a second part of that: mutual assured destruction. The determination that should the USSR use a single nuke, we would unleash armageddon, quite possibly obliterating our own species. Let’s not pretend this was some gentlemanly engagement run by academics and diplomats. We spent five decades in a Mexican stand-off and on at least two occasions we came very, very close to pulling the trigger. Five decades on the edge of the abyss. So far this war or series of wars is about 15 years old. …quite possibly obliterating our own species. And Huckleberry thinks ISIS is an existential threat. @michael reynolds: Larison isn’t complaining that it’s taking too long; he simply doesn’t think we ought to be there in the first place. I, too, am uncomfortable with the procedurals here but don’t see how to fix it given the amorphous nature of the threat. Yes, I see the drone wars in Pakistan, Yemen, and Somalia as a *major* expansion of the GWOT. I have real concerns about the command and control of that campaign. But, ultimately, I do think blowing up bad guys using cheap systems that don’t risk American airmen is a good idea. Larison is more dogmatic on non-interventionism than I am and he was just as brutal on Bush as he’s been on Obama. I see mostly gray here, thus the ambivalence. I guess I’m not seeing the gray as regards ISIS. Deliberate brutality and provocation are their M.O. for recruitment. They’re psychopaths advertising to other psychopaths by running snuff films. If three ISIS wanna-be’s grab hostages in Chicago and murder them in their usual colorful style, we both know what the polls would look like the next day. Burn some random Chicago woman to death on camera and we’d be in a full-on war in ten seconds and no president could stop it. We do not have the ability to refuse combat when a sufficiently bloody gantlet is thrown down. They need to recruit, they need to be pre-eminent among terror groups, so they’ll push until they get a reaction. I’d rather not see us go off half-cocked into another ground war, in part because if we do the Arabs will never step up and start managing their own sh!t. And if it’s not ISIS it’ll be some other set of initials run by some other bunch of psychopaths. So, it’s on whether we act or don’t act. Don’t act and maybe the KSA goes down, and then we act. Don’t act, and maybe they hit us here, and then we act. It’s not intervention, it’s inoculation. We’re trying to stop the spread of a disease using minimally destructive means. Wait until the disease spreads and it gets worse. I couldn’t agree more with you. Words I never thought I’d say. why is it so hard for people to see who these people are and what they want? We’re trying to stop the spread of a disease using minimally destructive means. This was a tactic 70 years ago. Today? More than 2,250 United States bombers and fighters struck Germany in widespread attacks today, delivering a main blow at Dresden which already was burning from a night assault by 800 heavy RAF bombers. Foreign policy professionals are comfortable with the language of rationality, of interests and policy, of pragmatic motives, profit and loss. They are less capable of grasping that whether or not you believe in God or satan, (and I believe in neither) evil is real. They pooh pooh such emotional language, and they believe they’re showing sophistication. Motives are always mixed. Our motives, their motives, and yes it’s easy to cast almost anything in a rational light. It’s easy, but it’s not accurate. We see what we want to see. But humans are not primarily rational, never have been. Humans are driven by emotion, by needs, by psychological trauma, by grudges and fears and hates, by madness and evil. Using Occam’s razor to slice away what you don’t like (all that messy emotion) to reduce a problem to the rational is reassuring, but it’s a mistake. There was no reason that can explain away the Holocaust or the Killing Fields or what’s happening in Iraq and Syria right now. Are there elements of rational self-interest? Sure. Like I said, motives are always mixed. But sheer lust for blood is the engine that throbs beneath the cowling of rationality. But you can’t publish a heavy tome or get tenure or throw your weight around the think tank by talking about evil. Dresden was a terror bombing, as were Hiroshima and Nagasaki. Certainly by modern standards they were war crimes. I’d be more concerned were it not for the fact that the Nazis were still running trains to Auschwitz and the Japanese were still performing depraved medical experiments on Chinese and American prisoners. Can we drop the whole “homeland” thing? That expression has creeped me out from day one. Answer is quite simple. I dont think there is a single person who isnt war weary, but there is no other option. We don’t need any half measures here. 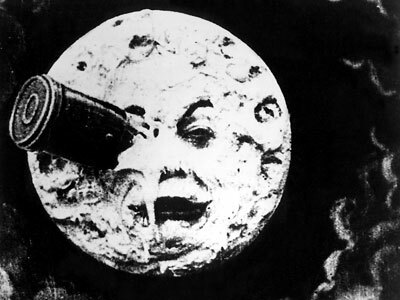 Don’t we need to distinguish our domestic policy from our campaign to keep the moon free of terrorists? How about the Fartherland or is that offensive to you? Actually, half measures are exactly what we need. At this point we are deep into child psychology. The Arab states will never, ever step up so long as we do their fighting for them. This has got to be on them or we are in this for decades. The KSA, Jordan, Baghdad and the magnificent Kurds have the power to take ISIS down, but they won’t do it until they have no choice. We supply the air cover, they have got to supply the ground troops. There’s some good news on that front today. Despite the scare headlines, it appears the ISIS attack on the air base where Marines were training, has been stopped by Iraqi forces. The Kurds beat ISIS at the Mosul dam and Kobani. And now it seems at least one unit of the Iraqi security force has some cojones. 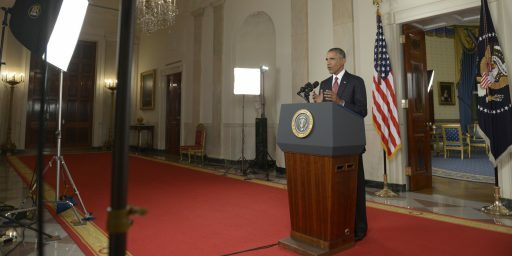 Mr. Obama’s strategy is the right one: we provide the air cover and the Arabs to do their own ground fighting. James – isn’t boastful proclamation a product of our times? I find that conclusion inescapable. Obama’s first framing of the response to ISIS wasn’t exactly boastful and belligerent. “Degrade and ultimately destroy” is about as far from “shock and awe” as you could get. For that reasonable acknowledgement of the long, protracted effort required to deal with a ruthless, stateless terrorist group, Obama got the “feckless coward” treatment in spades. As you noted in your post on the NSS, the sabre-rattling public proclamations of our foreign policy strategy isn’t in line with the more nuanced, pragmatic approach the Obama adminstration actually follows. This seems to me entirely on purpose and definitively preferable to the opposite – a nuanced public strategic policy followed by reckless, belligerent actions in the world. @Will Taylor:..U talkin to me? I believe Obama is only doing this to force Congress to debate it at all. Lacking his request they wouldn’t even do that much and sad to say for a pretty good reason; they aren’t capable of debating it intelligently. 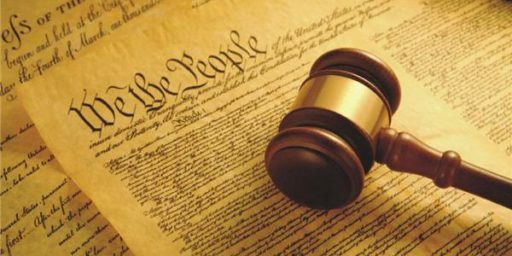 Perhaps we aren’t fully a republic, or at least the Constitution’s intended one, a this moment. Our best and brightest won’t run for office. Those that do are highly skilled in one thing, winning elections, and do not have the time to bring themselves up to speed on things that take months to do so. Lairison has a valid complaint but it’s a process argument. A process argument about matters of war is dodging the issue IMO. Current news: ISIS seizes key Iraq city, ISIS murders two in Denmark, ISIS plot in Belgium uncovered, ISIS parade of prisoners in cages, ISIS cells growing in Europe, US citizen killed as ISIS hostage, Iraq fears massacre. Now the president is wanting full authority to attack ISIS. This after a year and a half of inaction, denial, and trying to avoid even acknowledging Islamic radical terrorism. Instead we hear such bizarre statements like at the recent “prayer” breakfast in which he apologized for events perpetrated by the medieval church that took place hundreds of years ago. Talk about leading from behind ! ISIL, DAESH, ISIS: how about this name for them – EVIL ! See the excellent, thoughtful article “Crusaders and Appeasers” by Charles Krauthammer. Tyrell, for God’s sake, if you’re going to insist on holding forth on matters of foreign policy, read something more than the scare crawl on Fox News. Everything you have to say is a regurgitation of whatever FNC street meat mouthpiece said in hopes of agitating frightened old people. Calm down. The situation is well under control with the IS in Iraq and Syria. Now, whether ISIS is morphing into an old-school terrorist organization is a different matter. But thus far they seem to have managed to kill a few cartoonists. I don’t think we’re going to have too much trouble surviving that. But every time some ill-informed person like you panics you’re doing ISIS’ wok for them. You’re an ISIS tool. Stop being a tool. Take a deep, cleansing breath. Turn off your TV and talk radio. Put on some music and read a book. Relax. Fox News: We Distort…You Run and Hide! @michael reynolds: I will have to confess to an early morning of cs (convenience store) high octane coffee plus some doughnuts and a 32 oz. soft drink. Then I went to the CNN website. I think I will stick to.”Green Acres” for a while and James Patterson books. I have no idea what situation you think is under control. Please elucidate! Not only do I wonder why you said things regarding IS are under control, I strongly believe we will be experiencing further terrorist attacks, either of the lone extremist type or the planned major attack type here in the US. My bet is that these attacks will be fostered by the Islamic terrorists such as AQ and ISIS. I suppose our supreme leader will simply wait for it, and play golf to while away the time. I see the AMUF as a simple ploy to appear to be doing something when He has no intention of destroying ISIS. Else we would be seeing a huge increase in the air-ground war in Iraq and Syria from US assets. Do we have to go through another catastrophic event such as Pearl Harbor or 9/11 to goad us into really effective action?